Clients are provided with local business sensitivity through market surveys, demographic studies, traffic flows and trends, identification of competition, opinion of values, and strategic mapping. Site selection is supported by expertise in negotiation of lease or acquisition, and attention to community zoning and code issues. 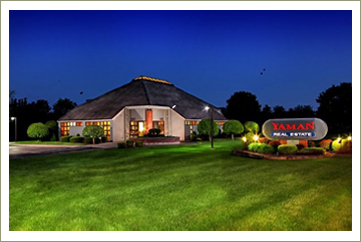 Yaman Real Estate has been instrumental in arranging a vast amount of industrial deals in the Central New York area. The Company has developed a network of local, regional and national industrial brokers to help draw prospective tenants or buyers. This is a specialized field requiring knowledge of industrial production and product handling, construction, and community financial benefit packages, to mention a few. With a wide range of office listings, we can fit you into the right environment and the right location. If the ideal office does not exist, we can arrange a build-to-suit for lease or ownership. For over thirty years, Yaman Commercial ▪ Industrial has been involved with every aspect of Residential, Commercial and Industrial Real Estate Development. This broad range of experience has added successful and exciting new developments to the landscape of central New York. Our firm will undertake development projects on a consulting fee basis, or in exchange for percentage of ownership.